Simplex Spelling HD, best phonics spelling app - PyxWise Software Inc.
Simplex Spelling improves English spelling and reading skills in a fun and interactive way by combining a unique "reverse phonics" approach with contextually relevant spelling rules that explain why words are spelled in a particular manner. It works like a personal spelling coach with every word. Simplex Spelling HD contains over 260 English sight words including all of the words from the Dolch word lists. The Dolch word lists consist of 50-75% of all the words used in children's literature. Learning these high frequency words will help the student to establish a strong base foundation in spelling and reading fluency and will build their confidence. Rather than using flash cards, Simplex Spelling enables the student to build each word phonetically using the built in "reverse phonics" hint system that teaches both phonics and phonemic awareness. Students gain necessary skills to become both effective readers and spellers, rather than relying on the sheer memorization of words. The informative spelling rule hint feature also explains why words are spelled in a particular manner. Research studies have found that the best way to teach reading is through phonics and phonemic awareness. In addition, great spellers almost invariably make great readers. However great readers are not always good spellers. So learning to read through the synthetic phonics spelling approach in Simplex Spelling will give your student the best chance to establish both spelling and reading fluency. Phonics has also been demonstrated to be a much more effective method of teaching reading for students with dyslexia than the whole word approach as it teaches left to right reading of sounds which research shows is in line with the way the brain works. Many people mistakenly believe that sight words cannot be learned through a phonics approach, but the fact is that the vast majority of sight words can be sounded out properly using a full synthetic phonics approach such as the one used in Simplex Spelling. Simplex Spelling's unique, immediate letter by letter feedback system is designed with clues and hints that will enable every student to spell each word successfully. It is great tool to have for kids learning to spell and read, remedial students, those with dyslexia and special needs, or those learning English as a second language. Simplex Spelling is also equipped with an automatic progress tracking system that enables you to see at a glance words that have been mastered and words that require further practice. Simplex Spelling enhances understanding in a variety of students as it appeals to audio, visual and tactile learners. "If you happen to have a young child just learning or is in need of support with their sight words, then Simplex Spelling HD is the way to go!!! Its name says it all, it's very simplex. Applicable2U has explored a number of spelling applications, and this is the best one yet." "While experiencing this application, Applicable2U felt like we are a part of an interactive spelling bee." "Currently, it is selling in your iTunes library for $6.99. Some might say that it is a lot of money, but the academic results that you will see in your student or child will be amazing." "Simplex Spelling uses a reverse phonics approach, but it is certainly not reverse in its thinking as it heads in the right direction of teaching our young population to spell towards the future of reading." "Whether you have a kindergartener or late elementary aged student(s) or child(ren), Simplex Spelling HD is applicable to you. Start your download today by clicking here." "The app begins with one of the best help features that I've ever seen in an educational app." "I was absolutely pleased with Simplex Spelling HD. Everything about the app feels like it's been done in such a way as to build confidence and spelling success. Bravo!" "Simplex Spelling HD uses incredibly rich, educationally sound, and powerful tools to teach high frequency words. With 220 words included and the wealth of tracking tools it provides, it is well worth the price." "The method used – dictation followed by tapping and dragging of letters into the correct order within a word – is incredibly effective at teaching spelling and the combination of the easily accessed phonics hints makes Simplex Spelling a very powerful tool for direct instruction. It is very easy for children to learn directly from the app without parental input beyond assigning a spelling list for each session or asking them to review a certain list." "The use of phonics is both intuitive and a bit playful – it is fun for my daughter to be able to explore the different potential options for a certain sound using the hints feature." "Simplex Spelling HD is incredibly easy to use." "But what is great about Simplex Spelling HD is that the phonogram for each letter combination that makes that sound, single or multiple letters, is provided for each word." "Multiple users can be added to the app making it perfect for a household or classroom that has fewer iPads than children." "In addition to learning the sight words, which increases reading ability, students are supported with positive feedback (whether they used the hint button or not) helping to build confidence as well. Simplex Spelling HD is an excellent tool to support literacy and help young readers grow!" "Lisa's goal is to take academically challenging work and present it in a clear and concise manner. Simplex Spelling does just that, using the original 220 Dolch Sight Words. This app provides leveled lists to practice spelling skills with complete ease." "Simplex Spelling enables the student to build each word phonetically using the built in "reverse phonics" hint system"
"Simplex Spelling – If you have Spelling Goals in your IEP, then this [is] the app for you." "Simplex Spelling – The name says Spelling but we found it is more than that. It is not only a great spelling app but also teaches the word usage/phonics and more"
"Wonderful app…great for kindergarten and up! Easy to use, great record keeping and the sentences spoken for the word to be spelled are clear and well written." "The Simplex Spelling HD application for sight words is wonderful. I work with students with autism and my students absolutely love it. It is an amazing way to learn the basic sight words. My students were motivated to keep spelling the words. My students loved when the program said and they saw good job, excellent, mastered go on the screen, it was a positive reinforcement. I also love that this programs gives phonic hints that allow the students to press when they need help [to] remember what letter is next and it gives you the letter and its sound. This is a wonderful concept. My students have increased their spelling correctly by fifty percent. It also helped to reinforce my classroom letters of saying the word and sounding it out to spell it. My students created beautiful writing pieces from a read aloud and spelled all of the words in their sentences correctly. I would recommend this application to all parents and educators. It would be a great use for anyone to utilize with both disabled and non-disabled students/children. Thank you for creating this wonderful application. This is an essential I-Pad application for our early learners and I would get it as soon as you could. Thank you to Simplex Spelling for their wonderful application." "The simplex apps are designed to help your kids learn how to spell. They feature lessons that let them work through at their own pace." "This app has a few features that as a parent and educator I feel are a must have. The first is that there are no in app purchases, no links to social media or pop up ads. Next, as a teacher, I like that you can set up to 40 different users in the app & it will track their progress. So everyone in your class can use one iPad and work on the app." "I like the way you can go through the word lists and see which ones are going to be tested. You can start a student with an easy or difficult lesson. You could also use the app to meet a student's specific spelling needs." Simplex Spelling HD - Dolch Sight Words With Reverse Phonics has been featured by Apple as New & Noteworthy in 17 countries under the Education category. In addition it has been featured under Education->English in 3 countries and Education->Grammar & Vocabulary in another 7 countries. Simplex Spelling has also been featured by Apple as "What's Hot" in the United States and Canada under both the Education and Games->Education categories. "Right from the start I was impressed with the app. The tutorial is fantastic and leads kids through the use of the application while teaching them how to spell. There's no doubt you'll know how to use the app by the time you're finished with the tutorial." "The positive reinforcement and hints help the user along toward their goal of spelling each word." "My kids have asked me repeatedly [to] play the game. I never thought they'd be so enthusiastic about spelling." "I can confidently recommend this app." "The Hint Button is one of the biggest reasons why I love this spelling application. When the user taps it, a small silver button will appear under the spaces where the designated letters in the word are to show up. Tapping on these small silver buttons will bring up possible combinations for the phonic that the particular letter represents." "Simplex Spelling HD, by Pyxwise Software Inc., is an award-winning iOS universal education app that makes the process of learning spelling super simple, and at the same time improves your child's reading skills." "This application was thoughtfully developed with children in mind; it has a clear and easy explanation of how the application works, immediately upon entering the app in the introduction." "I wish I had had this application back in primary and secondary school, when I was learning semantics — I am sure I would have done much better than I did." "The app uses phonics and reverse phonics to help teach young children, remedial readers, and those learning English as a second language, with a complete immersive spelling approach." "This app is a great learning tool for a family or classroom, has a multiple users function, and allows for statistics tracking and progress." "Simplex Spelling HD is one of the best spelling apps (maybe the best) in the app store at the moment." "One of the best things about this app is that each word is spoken, used in a sentence, then spoken again – which also helps put the word in context." "each word and sentence in the app has been professionally recorded, which is a welcome departure from computer generated voices which often miss the mark with shorter words." "Bottom-line: Simplex Spelling HD is a must have spelling app for anyone needing to master the first 220 frequently used spelling words based on the Dolch spelling system." "The app also supports multiple users which works well in a setting where different children are mastering the words at different levels." "There is a very powerful hint system within the app that doesn't just give away the answer but helps the child get to the correct answer." "Simplex Spelling HD is a very powerful spelling app that will help your kids with the 220 sight words needed to improve their reading ability." "This app supports multiple user accounts which is very useful for families with multiple kids or for teachers who have several students. Parents / teachers can easily monitor the progress of their kids because the app has tracking features which lets the adults know how the child is performing on each word. " "Simplex Spelling HD is a top spelling app for kids. It is well done and uses a unique "reverse phonics" approach that will teach your kids how to spell English high frequency words giving them a solid foundation to spell and read." "if you are looking for a top educational app to support your kids learning, you may want to check out Simplex Spelling HD." "The focus is on learning, but all well done. Kids will find the program easy to follow and use." "It is one these top apps that greatly support kids learning. All is clear and the interface will engage and stimulate your kids." "Overall, it is fantastic educational app that will definitely help and support your kids learning. It can be used by all children at home, in the classroom and ideal for home-schooling." "If you have a child or an ESL friend learning to spell in our English language I would recommend installing Simplex Spelling HD app for iPads, iPhone and iPod Touch today!" "If you have a child that is learning to spell or you or a friend is trying to learn or master the English language we suggest trying out the Simplex Spelling HD app for iPads. Developed by Pyxwise Software, Inc. it is a simple-to-use app that anyone can jump right into to begin learning to spell and master spelling rules." "Simplex Spelling HD will be sure to help your child master their words and spelling. It's a well put together and intuitive app that uses the Dolch sight word list to teach spelling." "This has to be one of the best spelling apps available. You should invest in this wonderful tool for your learner!" "Simplex Spelling is a powerful tool that enhances children's spelling and reading skills. With its simple yet effective approach, kids could have fun while learning the most important words in English." "If anybody in your life is learning to spell, this is a fantastically simple little app that could really help." "The interface is foolproof. It is very easy to use and the narration is crystal clear." "The instructions are easy enough that a school-aged child will be able to understand and follow them correctly." "If you are looking for a great spelling app, feature packed for your iPad, Simplex Spelling HD is your app." "It's a beautiful app in its functionality." "This is an app that you're going to spend some time in." "I think you're really going to love this app." "Its not only just teaching you how to spell the words, it teaches you why they are spelled a certain way, so that you have a good understanding." "You can use this as a tool for your children, or if you're a teacher you can use this as a tool as well." "This is a great tool to have. " "This app is very well put together. It is very feature packed. Those features are kept out of the way and easily organized so that way it is not confusing to use this app." "While playing with the words and the app, kids never feel the pressure to learn. Shortly you'll start witnessing the language improvement in your kids." "When you start using the app – you feel that you've started using the app, when in fact you're actually learning how to use the app." "Simplex Spelling is a great learning app for the kids." "the app has tremendous potential and is too good to be missed." "Overall, I really like the Simplex Spelling apps and think they are the best on the market at teaching your child how to spell in English." "where the Simplex Spelling apps excel is teaching your child how to spell. I really like how individualized the hint system is – you can choose to have no hint, or just hints for individual sounds, and instead of just telling them the letter that is missing, it teaches them what could make that sound. I also like that if the child gets the right letters but in the wrong order, the blue colored tiles let them know that, instead of just labeling it as wrong." 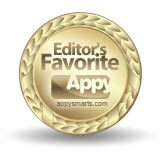 Andrew K from Hub Pages in his "Review of the Best Kids Educational iPhone Apps"
"Simplex Spelling HD is one of the best educational apps for kids"
"I have decided to start the list with this amazing iPhone application. It is intended to improve spelling skills of kids. This application expands vocabulary of kids significantly and provides an easy and interesting way to learn new words. So, playing this iPhone app kids will improve their vocabulary and learn how to spell words correctly. Simply know that this great iPhone app can bring a lot of advantages to child development of your kids." 1.Report of the National Reading Panel (April, 2000). ""Teaching Children to Read" | Summary Report"